Such solutions traditionally involve the use of technology. “All our products – from the lightest compactors to the largest asphalt and concrete mixing plants – rely on technology to help customers overcome the challenges they face on jobsites around the world,” Schneider said. 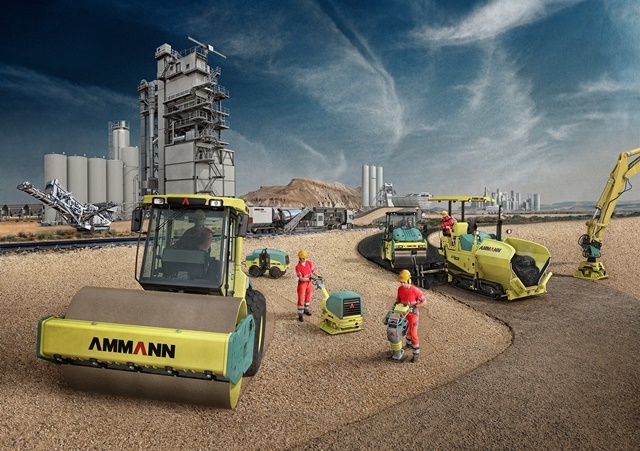 Ammann products today are developed with sustainability as a top priority. Compaction equipment is built to reach distances in the remotest regions, thereby minimizing fuel burn and machine wear. Pavers feature automation that optimises material usage. Ammann asphalt and concrete mixing plants utilise technology that enables production from 100 per cent recycled materials.